Your facial expressions have been a part of your life since you could open your eyes. They tell your story and make you authentic. As you age and mature, those expressions may start to settle into your skin, causing unwanted lines or wrinkles. Taking control of those stubborn frown lines and wrinkles can make your confidence flourish. With an appointment that is shorter than your lunch break, and scarce side effects, Dr. Diederich and his team promise natural results that will enhance your look, not mask it. Dysport and Botox offer very similar results. The team at MidAmerica will be able to help you decide which is best for your case. Whether it is wrinkles around your eyes, forehead, or for preventative reasons, this injection targets your problem area temporarily. By injecting the muscles with Botox or Dysport, the product will reduce muscle activity, combating years of squinting or frowning. The product will generally last 3-6 months, and may increase with consistent appointments. The injectors at MidAmerica Plastic Surgery realize the impact these products have on their patients and work to guarantee beautiful results. “I like how I am able to use Botox and Dysport to make my patients feel better about themselves and feel more confident. I have patients tell me all the time that they receive compliments from their friends and family that they look awake and refreshed and are wanting to know what they are doing to their skin. The number one concern we hear from patients is that they do not want to look overdone. We pride ourselves on making sure the patients feel comfortable with their treatment and receive natural looking results.”, explained Ashley Noeth, FNP-BC. 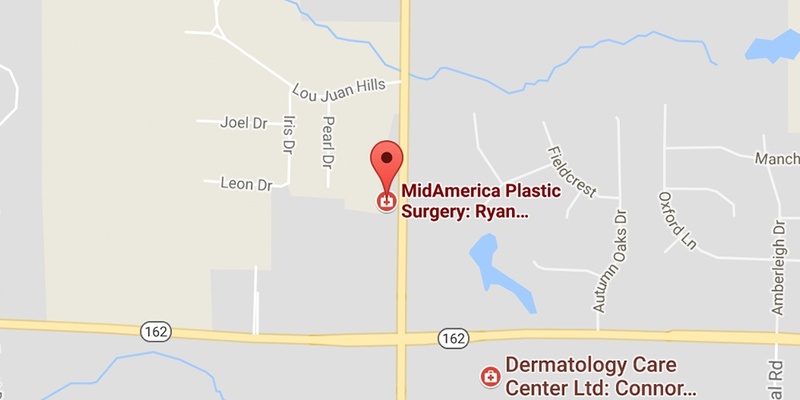 Request a consultation at MidAmerica Plastic Surgery and reach the aesthetic goal you desire. Our trained and experienced team is committed to exceeding your expectations with each encounter you have with us. Call the office at 618-307-6233 and get one step closer to looking years younger!